A MESSAGE FOR CHRISTIAN SENIORS. 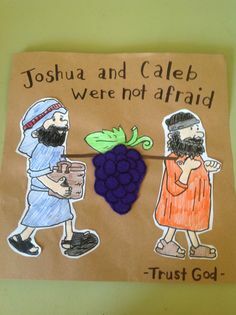 Like Joshua, Caleb was such a senior. The Bible says in his 85th year he was as strong as he was 45 years earlier when Moses sent him, along with Joshua and 10 other men, to spy out the land of Canaan (Numbers 13). All the men were likely fit at age 40—after all, they had just walked from Egypt through the wilderness to Kadesh. But how many were just as fit 45 years later? Perhaps Caleb was inspired by Moses who died at 120 years: “His eyes were not dim nor his natural vigour diminished” (Deuteronomy 34:7). Our senior years should be as fruitful and productive as our younger years. Be a good steward of your health. Plan on being able to serve God faithfully, until He calls you home. Retirement is not Biblical. God will empower you to do the work, He calls you to do. Christians; you already have the indwelling power of the Holy Spirit received when you were born again. Jesus paid the price to redeem you, so your Heavenly Father could send the Holy Spirit to produce the “fruit of the Spirit” in your life, and to give you the gifts of the Holy Spirit as needed for ministry. You are the temple of the Holy Spirit. Is He directing your path, your steps? Notice all three persons of the Trinity were involved in your redemption. HOW RELEVANT IS THIS WORD FOR THESE LAST DAYS? Jesus revealed to the disciples in Matthew 24 what we can expect to experience in the last days before His second coming. Moreover, God is revealing to those who are seekers after the truth in His Word, the many prophecies in both the OT and NT that are unfolding in our time and hence, also, what is to come before His second coming. James Goll has identified a number of KEY paradigm shifts: breakdown of the denominational barriers and structures. Part of that is a multitude of prayer networks that are emerging, that cross those denominational barriers. I am involved in one that has just started up in the Southern Region of Sydney – South Eastern Sydney Prayer Network – contact Ps Ron Brookman 0425 225 386 or myself on 0414412740 to get on the mailing list. James Goll originally wrote this twelve years ago but has just up dated it. I have not reproduced the entire article but what I believe is relevant for today. Sadly, as prophesied, we are also going to see a great falling away in the denominational churches as persecution intensifies. Only those who are totally sold out for Jesus, and who recognise we are in the “end times’, and are prepared to face whatever persecution comes there way, in the knowledge that to die in Christ is GAIN, will be saved. As we have crossed the threshold of a new era in the Lord, there will be a lot of shifting taking place in the church and the world. It is the time of completing unfinished business, a time of cleansing, and a time to get prepared for a “spiritual church-quake” to transpire in the life of what some prophetic voices call the “Third Day Church”. With this view in mind, let me present some bullets on Paradigm Shifts for the 21st Century. An Apostolic Relational Mandate is being released emphasizing “networking” versus vertical authority structures. This fresh emphasis on cross-pollination will replace much of the inbred church associations, which are strife ridden by the spirit of competition and control. The restoration of David’s Tabernacle as prophesied in Amos 9:12 and Acts 15:16-18 shall escalate resulting in authentic 24-hour houses of prayer and praise, worship and intercession sprinkled across the nations. New creative songs and sounds shall emerge as it was with the radical ministry of William and Katherine Booth’s Salvation Army bands. Praise, once again, will not be confined to the “four walls of the church” but will spill out into the open-air arena. A new Signs and Wonders Movement is growing. Healing Rooms and Centres will be instituted in many cities devoted to praying for the sick and casting out evil spirits (Luke 10). Parades of people healed of various diseases will once again occur as in the days of life of John G. Lake in the 1920’s. A renewed Quietest Movement will emerge as believers in Christ find the “secret place” of the Most High to truly be their dwelling place (Ps. 91). A fresh revelation of intimacy with God, communion with their lover/husbandman and master will come forth. A generation in the spirit of Mary of Bethany will arise and gladly “waste their life” on the Lord! An extravagant Youth Movement is coming to the global body of Christ that will “rock the nations”. Public events will be led by youth to pray and fast for revival, which will spread rapidly around the nations. This will be a “trans-generational anointing” where the hearts of the fathers are turned to the children and the hearts of the children to the Father (Mal. 4:5-6). A wave of “Identificational Repentance” will overwhelm a remnant of the Gentile church causing her to repent of her historical wrongs against the Jewish people. In response to this, a revelation of the “Sabbath rest” shall be released from the throne of grace that will be non-legalistic and result in healing for many. A “Convergence of the Ages” shall come upon us. The anointings of Pentecostal fire, the healing and deliverance crusades, the Latter Rain presence, the Evangelical burden for the lost, the Charismatic Gifts, the Jesus People zeal, the Third Wave credibility, the revelation of the Prophetic movement and the relational networking of the Apostolic Reformation shall all merge together into a tidal wave that will be greater than the impact of “reformation of 500 years ago.” This will ultimately create what could be called The Great Revolution in the Church“. Radical deeds of identificational repentance, acts of mercy to the poor and the oppressed, presence and power encounters to the sick and the demonized, warrior praise and intercession arising over cities will mount as a Revolution comes upon the global body of Christ and creates a great societal awakening! If history books are written of the years that lie ahead, they might be termed “The Days of His Glorious Presence“.